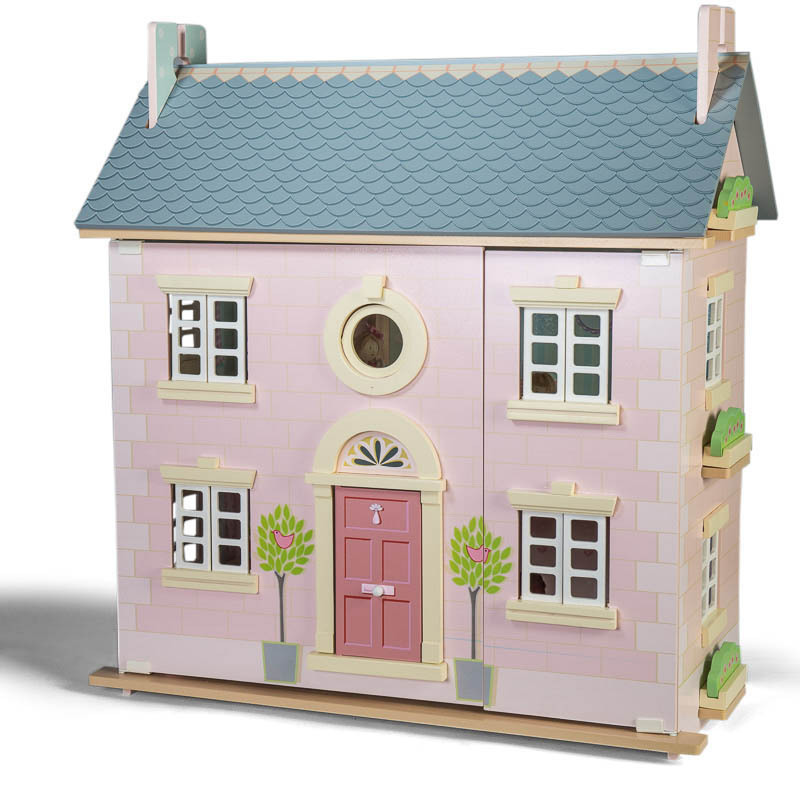 Absolutely stunning kids doll houses from Le Toy Van are an absolute must have for kids. Cherry Tree Hall is Le Toy Van’s biggest doll house and a true delight as well. 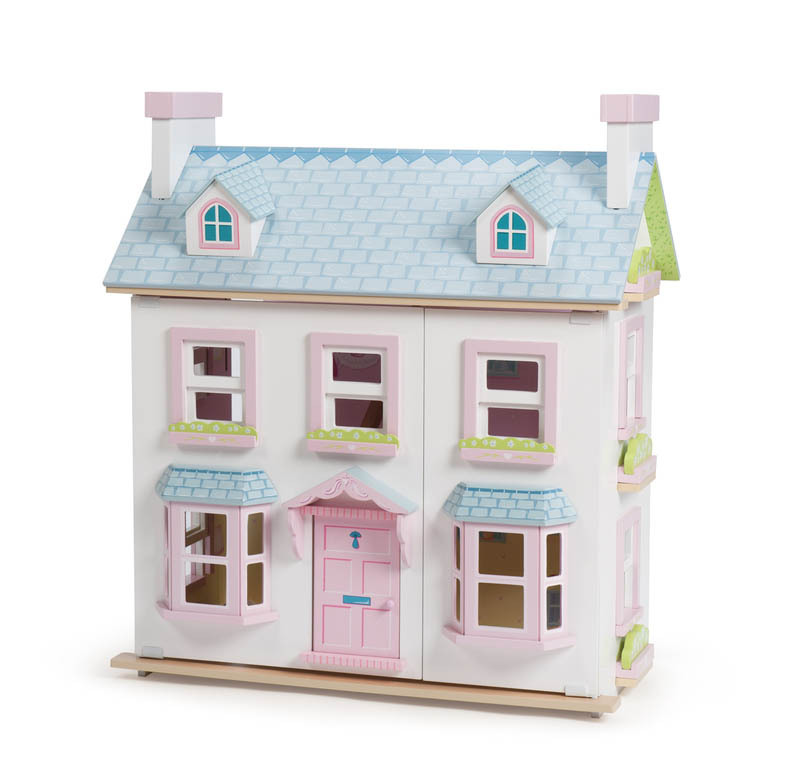 Styled in true Le Toy Van style with attention to details and styling that’s bound to delight your little ones, this is a doll house that will last for years and provide for hours of fun pretend play. 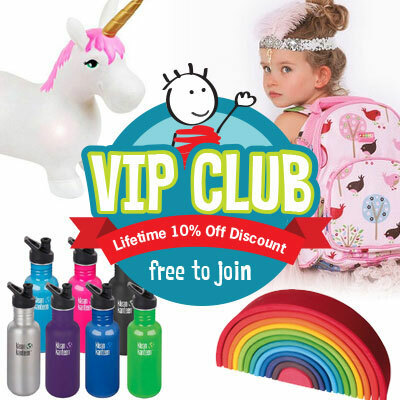 Fully painted and decorated inside and outside with incredible attention to detail for immersive play. It features numerous window styles including functioning shutters and back windows to allow light to shine through. It features 4 storeys and includes chimney stacks and staircases with bannisters that function as room dividers. A grand 92cm high 4 storey dolls house with floral motif this unique doll house has many windows and opening shutters which add to the “real” feel of this gorgeous dollhouse. Dimensions of doll's house: 35cm D x 92cm H x 66cm W.
Dolls, furniture and accessories are sold separately. We have applied a standard freight charge $15 for this item however some State and Territory customers will need to pay extra. We will contact you by email if any additional freight charges apply. This extra charge will be required before we can process the order.